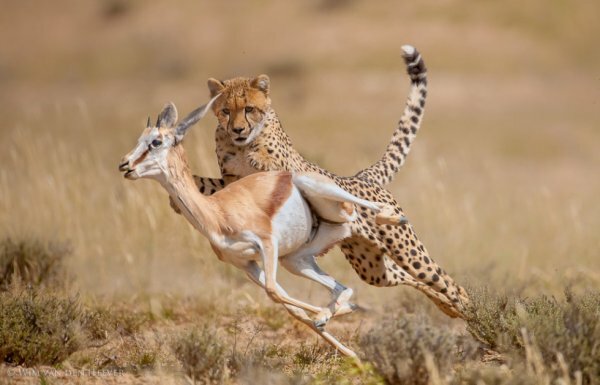 The moment just before the hunter grabs its prey... the ending is inevitable but then the hunter needs to live as well. This was another in the series I managed to get of the Cheetah hunting this springbok. Still my best series of Cheetah hunts I've ever managed to capture in the field. - Just for interest sake I have entered this shot as well as a few others in major international competitions &amp; got nowhere. So my advice to those of you that enter competitions... choose carefully!